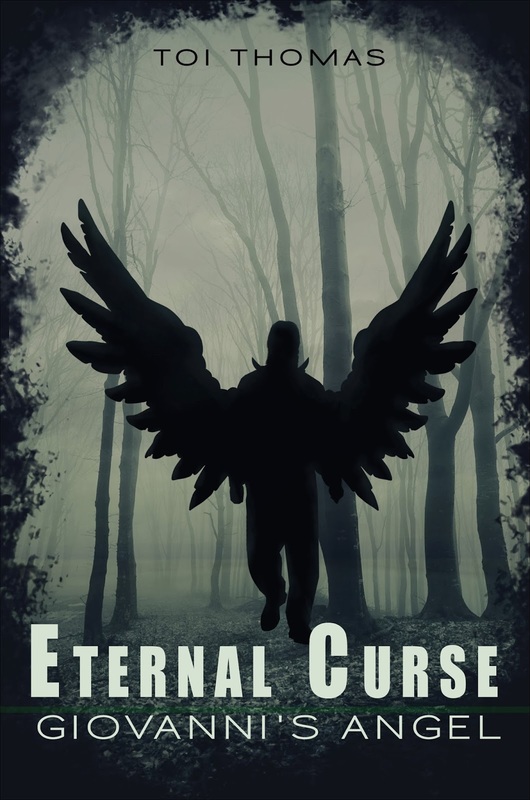 EternalCurse Giovanni’s Angel by Toi Thomas explores the Dr. Henry Jekyll axiom “In each of us two natures are at war- the good and the evil”. It is however done in a romantic, spiritual perhaps one could even say religious manner. The main characters Mira and Giovanni are enchanting and relatable to any reader. The wisdom and experience of the third primary character Abraham enhances the story. 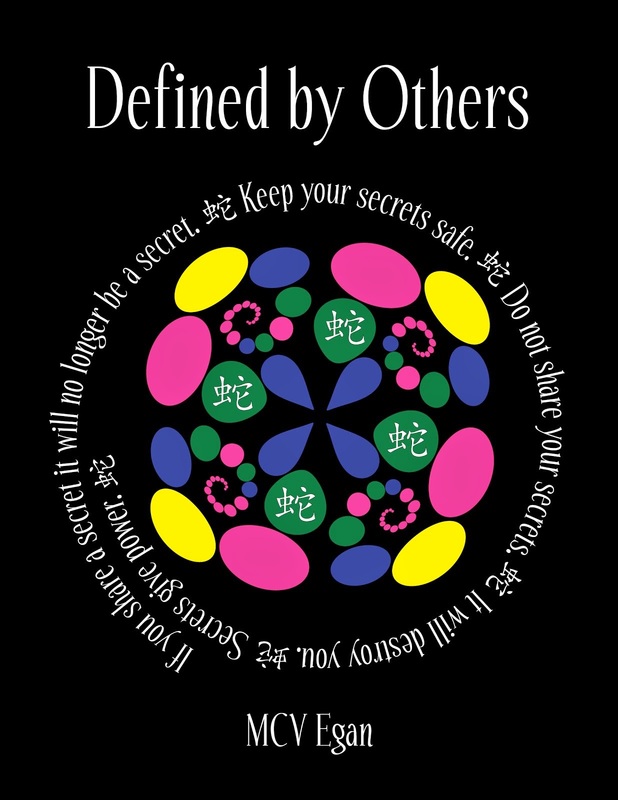 It is a fun unique read that cannot be filed under any specific genre; it has a beautiful romantic aspect, a supernatural and some may well see it as religious fiction. 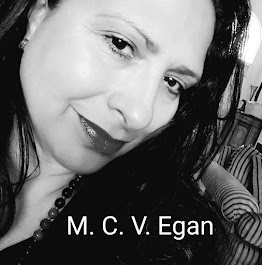 I enjoyed that it is a blend and unique, as someone who does not read religious fiction or seek out romance as a genre I found those elements very well characterized and easy to accept by any reader. 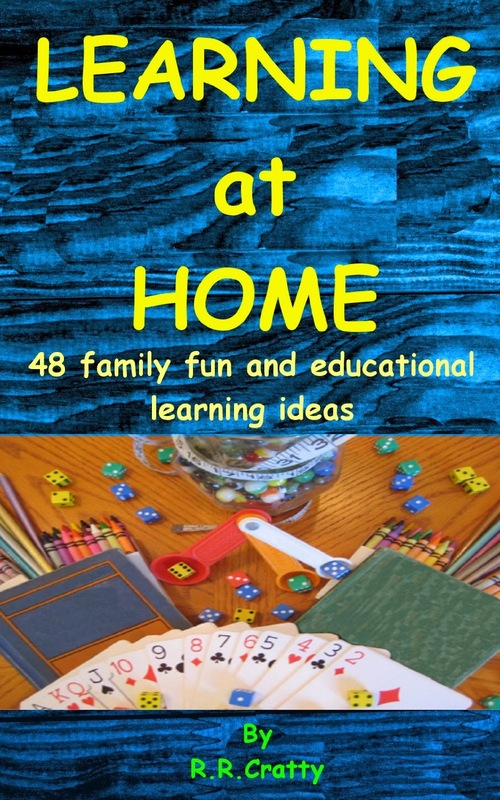 Rhonda Cratty includes her experiences of 30 years of public school teaching, raising children of her own, and articles written for on-line and hard copy publications -within the pages of Learning at home. Come celebrate the talented work of author David Litwack! We have a lot of fun things planned, including a scavenger hunt. The blogs listed at the end of this post all have a clue posted which will give you the answer to one of the entries in David's giveaway. Check them all out, spread the word and pick up a copy of one of his tremendous titles: Along the Watchtower and There Comes A Prophet. The urge to write first struck at age sixteen when working on a newsletter at a youth encampment in the woods of northern Maine. It may have been the wild night when lightning flashed at sunset followed by the northern lights rippling after dark. Or maybe it was the newsletter’s editor, a girl with eyes the color of the ocean. But he was inspired to write about the blurry line between reality and the fantastic. There Comes a Prophet is his first novel in this new stage of life. His second book, Along the Watchtower, will be available June 2013. And The Daughter of the Sea and the Sky is nearing completion. While plot and character analysis are common features of all fiction, it is the historical detail which sets my beloved genre apart from the rest. And for the novels where this crucial point is not done well, they only serve to strengthen the stigma: that historical romance is fluff. There are two key errors that writers make which readers will not tolerate: inaccuracy, and lack of detail. Inaccuracy Have you ever read a book where a Regency lady and her rakehell hit the corner of their ritzy London lane for a late-night slice of pizza? Have you ever come across a Southern Belle that struggles with a zipper on the back of her gown? (Believe it or not, folks, those are not exaggerations … I’ve seen both.) Glaring errors like these will get you called out as a dreaded Writer-of-Fluff by readers very quickly. And whether you like it or not, you won’t get a free pass if you’re self-published. If you’re a writer of historical romance, you’ve got to have your critical thinking cap glued to your head at all times, and to recognize when to question your own writing. For example, what is the hierarchy of peerage for the country about which you’re writing? What fabrics were in use for your time period? What metals were popular? The last thing you want to do is give your King Arthur-era knight an aluminum breastplate, after all. You don’t have to know all these details off the top of your head, but you do need to know when to look them up. If you guess and you’re wrong, readers will call your bluff. Lack of Detail Nothing ruins the atmosphere of a historical romance like a total miss on the historical part. Yet so often authors forego this critical aspect, causing readers to lament that the story could have taken place at any time, anywhere. To make your historical romance not only believable but truly stand out, you have to have that detail in there . Pay attention to your story and give some thought to where and when you can authenticate your details. For example, don’t just write that your Spanish princess goes to bed. Everyone goes to bed whether they are Viking raiders or Victorian-era servants. When your princess goes to bed, what does she do? Does she clean her teeth? How and with what? If you don’t know, look it up. A quick internet search will tell you that people cleaned their teeth with split twigs, rough cloths, salt, chalk, etc. etc. Or, say your handsome Highland laird dons a cloak. What does it look like? What’s it made of? Is it trimmed or lined, and if so, with what? Don’t know? Look it up. Here is the perfect opportunity to authenticate your story with detail. Detail is what makes a historical romance historical. It’s what readers of the genre want to see. This complex, exciting and educational genre does not deserve the stigma currently associated with it. 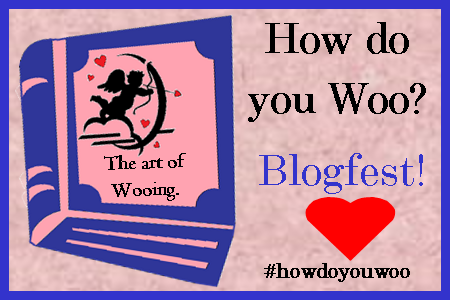 So if you write this type of novel, help elevate it into the sphere of worthy literature where it truly belongs. The best way to do that is to add accurate and ample detail. There is a legend familiar to those who call the island of Fara their home. It is one that is passed down through the generations. From mothers who whisper the tale to their bairns as they float into dreams each night. From starry-eyed lasses who pray to find for themselves the undying love of which it speaks. 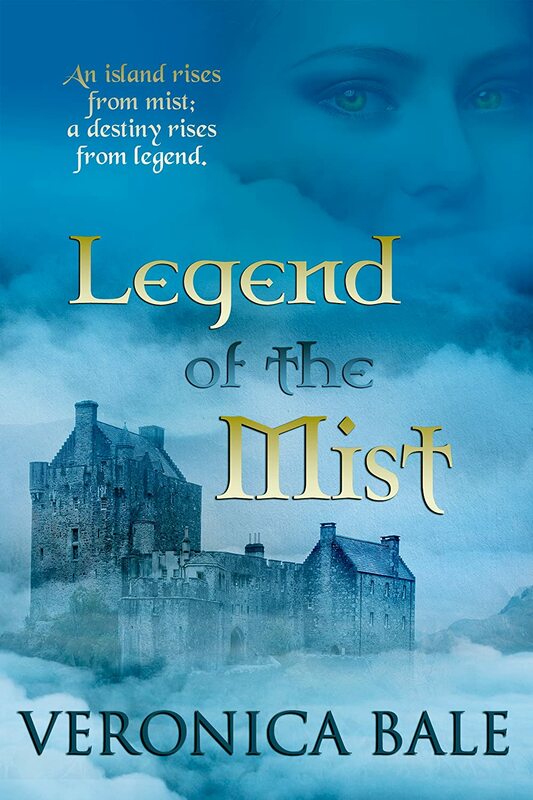 From elders who know the magic of the thick and inexplicable mist surrounding this, and no other, of Orkney’s islands which rise from the sea off Scotland’s northern coast. Veronica Bale has written several novellas, short stories, and news articles as a freelance writer. With her Highland Loyalties trilogy she made her debut into the world of historical romance novels. Veronica lives in Ontario, Canada with her husband, young son and three spoiled cats. When she's not writing she's running, reading, spending time with her family, or hopelessly lost in the cobbles of Coronation Street. Tritonia ‘Salty’ Casavant has spent her entire life out at sea on her parents’ sailboat. Raised by a marine biologist and her mother’s extended family of modern day pirates, her perception of the world isn’t exactly normal. Now a single mother herself and living alone on the boat her parents left her, she enjoys her private paradise as she cruises back and forth between the Islands of Hawaii. Everything changes when a local gang begins using her strip of ocean as a dumping ground for smuggled drugs and firearms. Soon Salty is in the middle of an all-out turf war she inadvertently started and the only way out is through Detective Finn Murphy. As the challenger approached, it became apparent that Chick was bringing visitors. Salty frowned as she spotted two haoles standing at the helm. Even from where she was positioned she could tell that they were cops. Given her life experience, she knew the type inside and out. 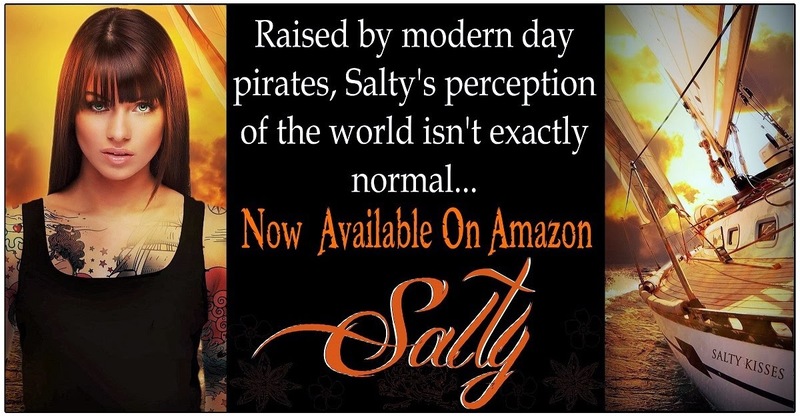 Then, having written those characters a hundred times over in her stories as the antagonists and the nature of the heroine in her novels, it was hard for Salty to muster any warm fuzzy feelings at the sight of the two police men as they pulled up beside her sailboat. From the look on Chick’s face, she could tell that he wasn’t thrilled either, although those feelings were probably partially directed at her now that he had likely discovered Amaui’s identity. Regardless of the reason, the strangers’ presence seemed to be a necessary evil for the time being, so Salty made her way to the stern and waited for Hani to toss her a rope. Once the speedboat had been securely rafted off the Salty Kisses, all four of the men aboard the A’ole Aina found themselves standing on Salty’s front step. “Salty, this is Lieutenant Pierce and Detective Murphy. They’re colleagues of Detective Mahelona’s.” Chick made a face as he said Amaui’s name. “That’s nice. Why the hell did you bring them here?” Salty replied, completely ignoring the two men wearing badges. Salty eyed the man from top to bottom. He was almost as tall as Chick, but considerably leaner. His hazel eyes had a youthfulness about them, but the flecks of grey he had spread throughout his hair and goatee had Salty gauge him to be at least in his early forties, forty-five at the most. Even though he was a white guy, he had the distinct look of someone who had lived on the islands for a very long time. With his loosely fit grey cargo pants and navy blue polo shirt it was about as lax a uniform as you could find. Not uncommon for Hawaii though. Pierce’s partner, on the other hand was as much of an outsider as the tourists who trampled the beaches year after year, season after season. Murphy was shorter than Pierce with dirty blond hair and blue eyes that matched the surrounding waters. He was stocky and muscular and wore his black pants and fitted blue button up shirt nicely. The sleeves had been rolled up, but that was the only indication Murphy gave that he was aware of the summer climate and its accompanying 83 degrees. “Whose time is that exactly, Detective?” Salty demanded. “Ours. We should be out following real leads, not wasting our time taking boat rides out to see some modern day pirate princess who’s probably been out at sea for so long she no longer has a real grasp on reality!” Detective Murphy ranted at her. While Salty had been sizing up the two officers, Murphy had apparently done the same with her. Judging from his little speech, he hadn’t been too impressed with what he’d seen. Maybe it had been the fact that she was barefoot and wearing nothing more than her standard shorts and bikini top. 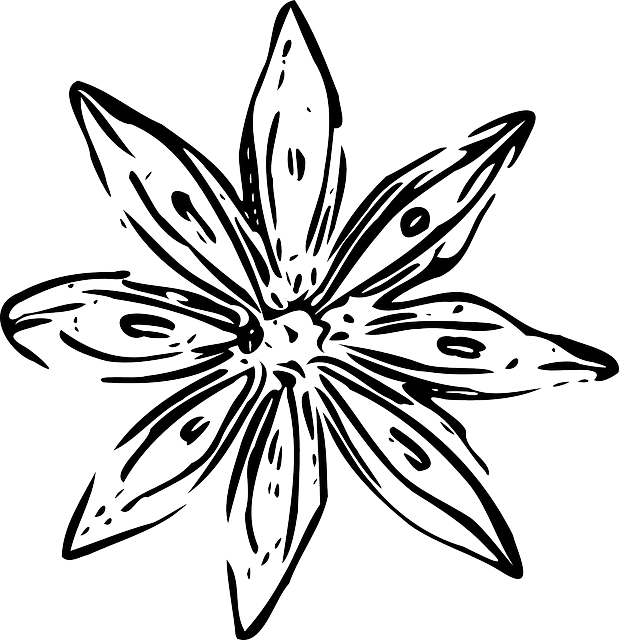 Or perhaps it had been the sight of her tattoos which spanned the greater part of her body. Salty had to take a mental account of what her hair might look like at that very moment. She had washed and brushed it just that morning, but the ocean air and constant breeze wreaked havoc on her long brown locks, and most days Salty found herself staring at a wild woman anytime she came face to face with her reflection. She never bothered with make-up, but her permanent golden tan, sparkling green eyes and wind burned red lips had made it unnecessary anyway. Salty was starring daggers at Finn Murphy and he was locked onto her returning fire. “No, I agree with your partner. This was a complete waste of your time. You should go.” She turned on her heel and began to walk away. “For what it’s worth, this wasn’t the first drop the Kakumei have made. I’ve counted at least seven, always between the hours of midnight and 2am. By sunrise some local fishing boat comes tugging along to retrieve the shipment. It’s never the same boat, but twice I noticed they had the same colors. 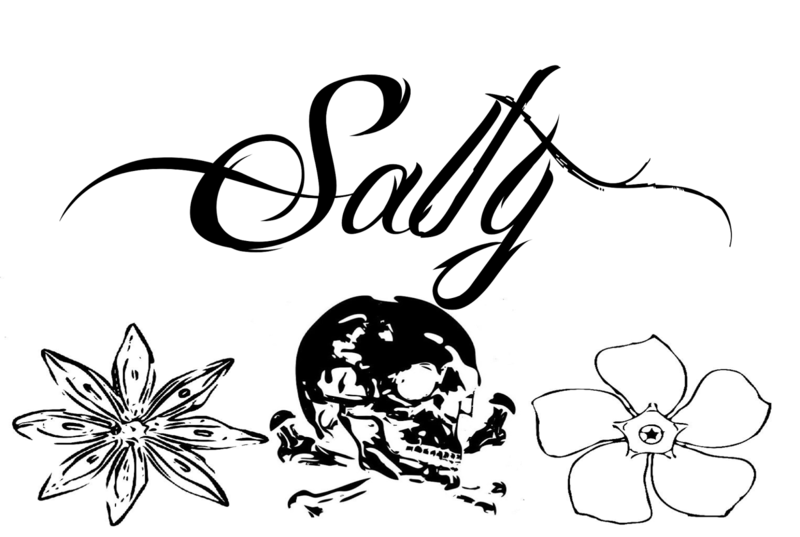 I was never close enough to make out any lettering, but I could still give a pretty good description if I needed to.” Salty didn’t know what had possessed her to divulge all of that. Probably the part where that idiot Murphy had implied that she was crazy and incompetent. It’s not like he could have known that it would strike a chord with her, but it had…and not in a good way. So much for not getting involved, she thought. She could already feel Chick’s glare burning through the bare skin of her back and she reached up absentmindedly to rub the spot. “How do you know it was the Kakumei?” Murphy asked. The officers exchanged a glance. Both Chick and Salty noticed. “Eric Choy’s father went missing ten days ago. He’s been a prominent player in the business world for many years, not just on the island but internationally. We think his shipping company may have been compromised somewhere along the way…and we think the Kakumei had something to do with it,” Pierce expounded stepping forward. “That explains what they were doing with Eric. How did Detective Mahelona end up in the mix?” Salty wasn’t even sure why she wanted to know. If nothing else it was potential material for her next novel. “Amaui’s his girlfriend. It was just an unlucky coincidence that she was there when they grabbed him,” said Murphy. Pierce shot him a look suggesting he zip it, but Murphy just shrugged and said, “What? Now we’re not disclosing important information regarding our highly sensitive, open investigation? My mistake. I was just following your lead, buddy.” For the first time since meeting Finn Murphy, Salty had to fight back a smile. “That might be less than you think,” Murphy said, shaking his head and turning away. Neither he nor Pierce elaborated on it any further. So, Salty began to recount everything that had happened, starting with the first night she had heard the plane down to the night she pulled Amaui and Eric from the water. She was sure not to leave out even the tiniest of details, not because she wanted to be thorough, but because she simply couldn’t help herself. Details in descriptions had become a hazard of the job a long time ago. Even Finn Murphy seemed pleased with everything she was able to give them. “That was incredibly meticulous. Are you sure you don’t have a background in law enforcement?” he joked. “Why’s that funny?” Murphy asked. “Because the cops I write about aren’t exactly the most observant. They can’t be. I mean, it wouldn’t work very well for my heroine if they were stellar members of the force,” Salty explained. She knew she wasn’t coming off well, but then Murphy and Pierce had to have known when they were coming on board that they wouldn’t be held in the highest regard. Cops and pirates just didn’t mix. Doug Simpson is a retired high school teacher who has turned his talents to writing. 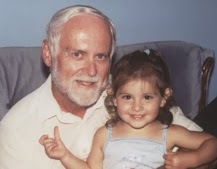 His first novel, a spiritual mystery titled Soul Awakening, was published in the United States in October of 2011, by Booklocker. It was reissued in October of 2012 by 5 Prince Publishing as Soul Awakening, Book I of the Dacque Chronicles. For further details visit them at http://5princebooks.com/. 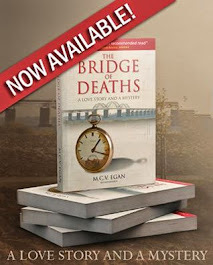 It is available in print and eBook format through most bookstores around the world. Soul Rescue, Book II of the Dacque Chronicles was published in November of 2012, Soul Mind, Book III of the Dacque Chronicles was published in January of 2013, and Soul Connections, Book IV of the Dacque Chronicles was published in April of 2013. 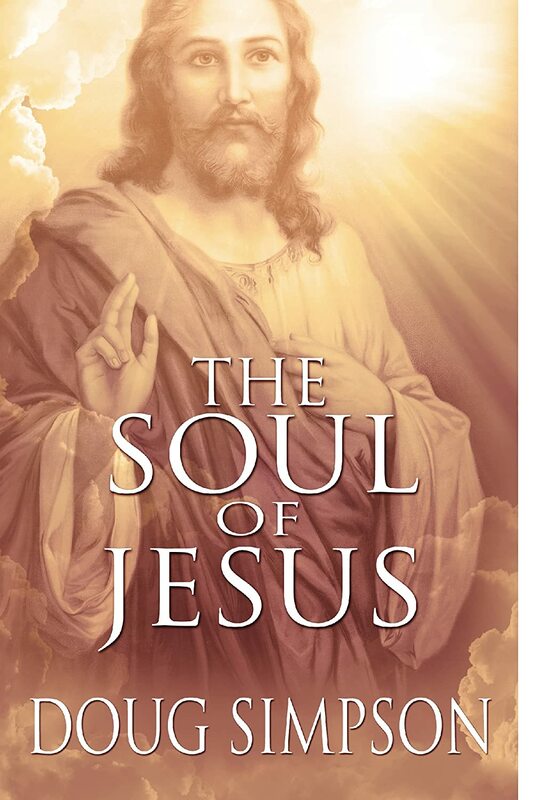 Doug’s first non-fiction book, titled The Soul of Jesus, was published by 5 Prince Publishing in January of 2014. His magazine and website articles have been published in 2010 to 2013 in Australia, Canada, France, India, South Africa, the United Kingdom, and the United States. His articles can be accessed through his website at http://dousimp.mnsi.net. Excerpt from Chapter 10 of The Soul of Jesus. Many of you will be reasonably familiar with the story of the birth of Jesus in a manger in Bethlehem, but that birth in a manger was no accident resulting from the Inn being full. The events that took place on that historical day were all a carefully crafted and fairly secretive Essene undertaking. The Innkeeper of the establishment that Mary and Joseph were “turned away” from, along with his family, were long-time members of the Essenes, and Mary and Joseph were astutely detoured away from the busy Inn to the pre-prepared and waiting – “the den, the cave, the stable” which apparently had been used in the past for the stabling of animals but no longer served that purpose, and was used for lodging on occasions when the Inn was truly full. The manger had not been removed. Herod the Great had heard the stories of the impending birth of “The King of the Jews”, and had his henchmen out looking for the imminent birth of this new King. The cave accommodations kept everyone away from the Holy Family who were not a party to the secret arrangements. This story will be revealed in much greater detail in the upcoming chapter on the birth of Jesus. Remember the wise men who were supposed to return, after the birth of the new King, to reveal his location to Herod the Great, but did not do so, causing Herod to later proclaim that all male infants in the Bethlehem area be put to death? [Matthew 2:13-16.] Judy and the Essenes were also responsible for smuggling The Holy Family, in a caravan of pilgrims out of Judea, under the cover of darkness, on their journey to Egypt. This story will also be revealed in much greater detail in the upcoming chapter on Jesus' early years. And now you know why Judy, leader of the Essenes, was the most important person in the life of Jesus who was not mentioned by name in the Bible. New e-book Red Willow’s Quest by Heidi Skarie is available for just$3.99 on Amazon. The historical novel has received many good reviews here is one from Bloomsbury Review and from Colorado Libraries. With sometimes nonstop action and never-ending drama added to it's accurate historical details, it's not surprising that discussions for making a movie about the book have begun. And with an abundance of issues equally interesting to adults and young readers alike, it looks like a natural for the big screen. It helps that Red Willow was not a typical Shoshoni maiden! She knew how to use weapons and was very outspoken. She often heard the call of her Spirit Guide and believed that her destiny was to serve her people as a powerful medicine woman. HEIDI SKARIE is a passionate writer and storyteller. She gives workshops and teaches classes on writing and Spiritual topics, and is also a popular interview guest on radio and television. Red Willow is a 16-year-old Shoshoni girl who lives with her tribe in the Rocky Mountains near what is now the Missouri River, in Montana. She is not a typical Shoshoni maiden: She knows how to use weapons and is very outspoken. Red willow often hears the call of her Spirit Guide and believes that her destiny is to be a powerful medicine woman who will serve her people. The novel begins in the season of melting snow, or the beginning of spring 1807. Red Willow is drawn to The Sacred Mountains where her grandfather, a respected shaman, insists she must go to fulfill her quest (consisting of four days of no sleep, food, drink, or speaking: it is supposed to allow a clear vision of an event in the future). Many members of her tribe believe that only warrior of the Shoshoni-not girls or women-go on spirit quests. But Red Willow is determined not to be stopped and sets off on her journey with Wind Chaser, her dog, and her strong and faithful stallion. Good Thunder. In Red Willow's Quest Heidi Skarie displays a talent for mystical and spiritual writing. She explains the meaning and symbolism for each tradition mentioned, then adds action, adventure, and romance, bringing them all together into one powerful epic. Ultimately, Red Willow must make a challenging decision that will considerably change her life and conclude this intense novel. I enjoyed Red Willow' Quest from beginning to end. This Native American story is about Red Willow, a sixteen-year-old Shoshoni girl who lives with her family and tribe in the early 1800s in what is now Montana. Red Willow's Quest refers to her spiritual journey to the sacred Mountains where she hopes to learn the secret ways of becoming a medicine woman. This is very difficult because she must face the opposition of most of her tribe at a time when girls and women did not go on spirit quests. She is also faced with wild animals, enemy warriors, and dangerous white trappers. Her helpers along the way are her faithful dog-wolf companion, Wind Chaser, and her strong pony, Good Thunder. The other main character, Masheka, a Kootenai warrior, offers his protection and help. The story is well written and rings true. Ms. Skarie has a wonderful voice for the character and obviously has extensive knowledge about the life and customs of the Shoshoni tribe. Young teenage girls would enjoy reading this book because of Red Willow's strong character and the nature of the challenges she faces, and boys would enjoy it because of the dangerous adventures of both Red Willow and Masheka. Adults who enjoy historical fiction that contains spirituality and mysticism would also find it interesting. There is a short bibliography that includes material for children and adults. This is Ms. Skarie's first book. In a recent interview she said she is at work on another historical adventure story. I will look forward to its appearance. My first official date with my, now, husband ended with me going to the ER. What can I say, I really know how to turn the fellas on…at least I was memorable. Honestly, my husband and I already had a bit of history before our first date. We were friends, so when I started to have breathing problems and needed medical attention, it was really more of a friend looking out for another, but for me, it was the sweetest thing. When I woke up groggy the next day, all neatly tucked into my bead, I was confused. Then I walked out into the hall and saw my date passed out on the couch. He had stayed the whole night to make sure I was ok. My husband has never disappointed me in the romance department and luckily for him, I’m not high maintenance. Tulips when he can get’em, chocolate anytime, comic books, action figures, a visit to the zoo, ice cream, and a fresh new pair of fuzzy socks; he knows how to romance me any day. And now, here’s a snippet of budding romance from my debut novel, Eternal Curse: Giovanni’s Angel, from chapter seven. 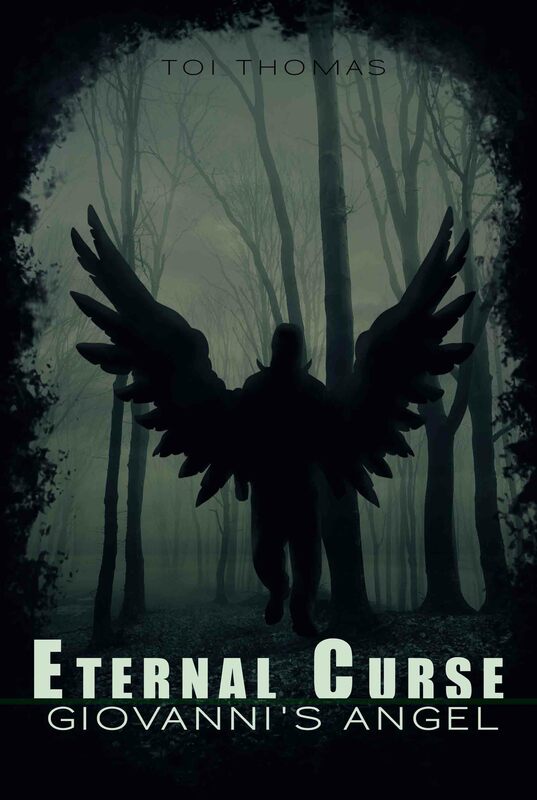 Eternal Curse: Giovanni’s Angel, by Neal James.